Dearborn, Mich. (Feb. 20, 2018) – The Arab Film Festival (AFF)returns to metro Detroit May 31 to June 10, 2018 as part of the regional Cinetopia Film Festival. Now in its 13th year, AFF will present films from the Arab World and Arab America in the genres of drama, comedy and documentary, in both short-form and feature lengths. The focus of this year’s festival is amplifying marginalized voices through film. With grant funding from the John S. and James L. Knight Foundation as part of its Knight Arts Challenge, AFF will showcase films that present the depth of Arab and Arab American culture by expanding the Museum’s annual film festival, including panels and workshops led by artists and filmmakers with topics that include culture, race, sexuality and otherness. Other programming will include hands-on workshops that are meant to serve as a resource for Arab American filmmakers and immersive cultural programs like food tours and an Iftar dinner. 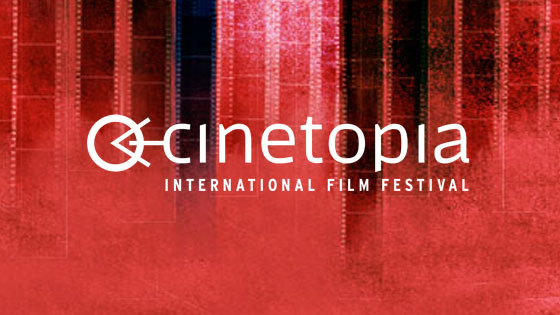 opia Film Festival. Full program schedule announcement coming soon. The 2017 Arab Film Festival is made possible in part by Michigan Council for Arts and Cultural Affairs; National Endowment for the Arts; the Kresge Foundation; and the John S. and James L Knight Foundation. Next: Next post: Kamil Bazzi, Kamelya Youssef, Ali Elsendy, and Yousef Alqamoussi in March’s Dearborn Open Mic!